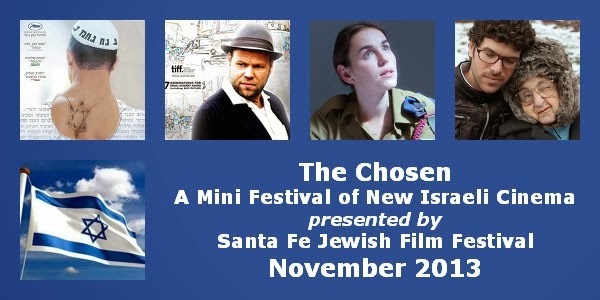 2 x Albuquerque + Santa Fe: The Albuquerque Film and Media Experience (AFME), Santa Fe Jewish Film Festival, and Israeli Consulate to the Southwest present Avi Nesher’s acclaimed film, with Israeli Academy Award Nominee Eyal Shechter. This acclaimed film mixes comedy with drama as it tells a tender coming-of-age story that also serves as commentary on life in Haifa in the late sixties. Arik, a teenage boy, gets a job working for Yankele Bride, a mysterious matchmaker and Holocaust survivor during the summer of 1968. As Arik begins to learn the mysteries of the human heart through his work with Yankele, the disparate parts of Arik’s life collide in unexpected, often funny and very moving ways. The Matchmaker goes beyond the traditional coming-of-age story, causing us to look at how we treat those on the fringe or outside the norm. Tickets are free in Albuquerque. Click here to purchase Santa Fe tickets.